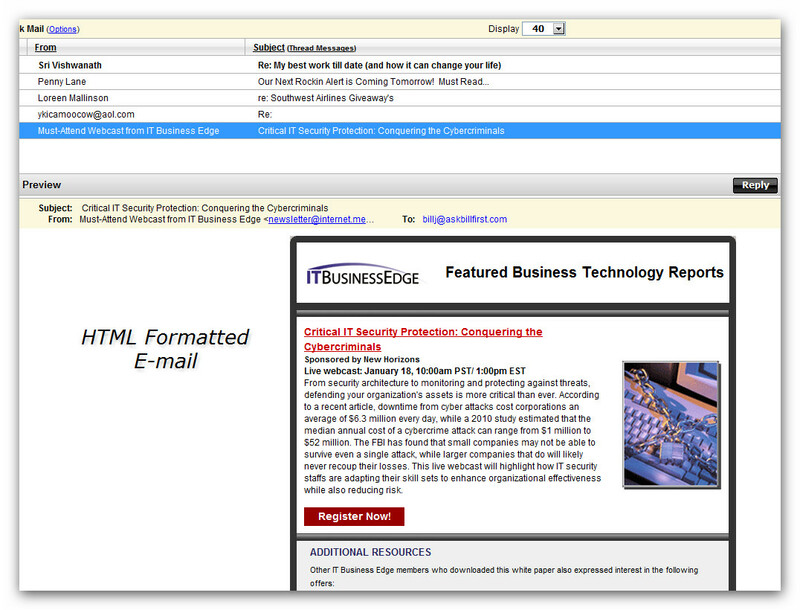 Email: Spam, Virus or Clean? Not sure if you’ve noticed, but there are a lot of emails being received that have a few lines of gibberish followed by a hyperlink, and often times a nice motivational quote. Many times, these emails are coming from someone you know. How are these emails getting past the spam and virus filters you have in place? Why isn’t your antivirus program stopping them? Well, first, most of these emails are coming through as plain text, with no formatting like HTML emails have. 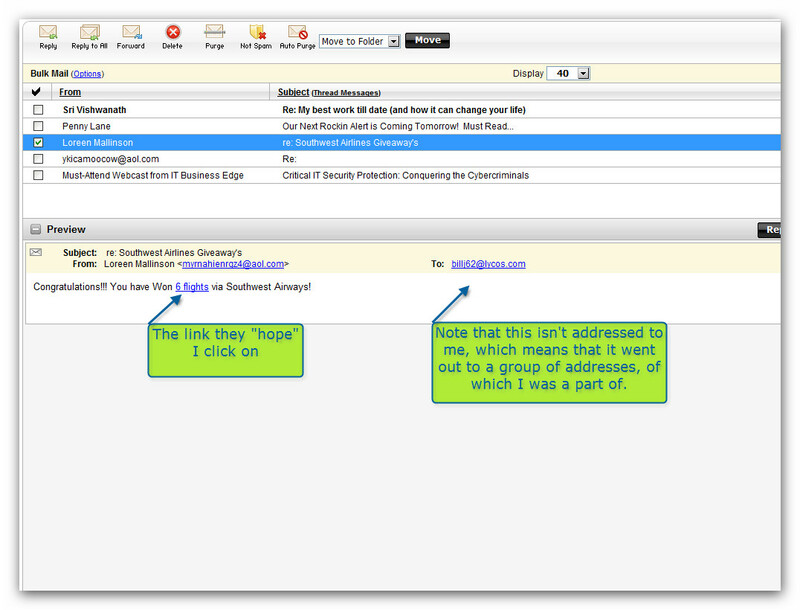 Spam filters usually are looking for key words, phrases, or graphics. With these emails, often times there aren’t any “key” words that will trigger the filter. As for the virus, there usually aren’t any attachments, just a hyperlink, again, nothing that will trigger the filter. The following is a sample of a text based email with normal words and a hyperlink. Also note that it’s not addressed to me but I received it anyway so it must have gone out to a group. Click on the examples that follow to see them full screen. They will open in a new window so when you’re ready to move back to the article, just close the image window. And then there is the email trying to convince you that it’s okay to open the attachment to print or verify the information they’re telling you about in the email. 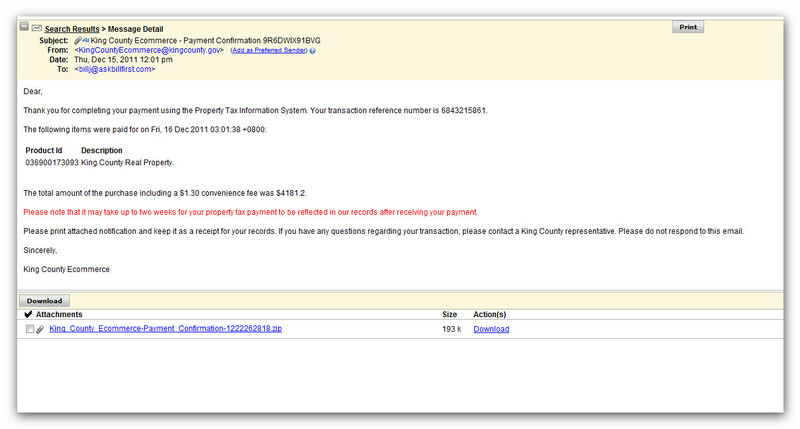 In this case, the email is stating that I paid property tax on property in King County, where ever that is. Since I don’t remember doing that, maybe I should print the document to see what they’re talking about. Well, wouldn’t you? 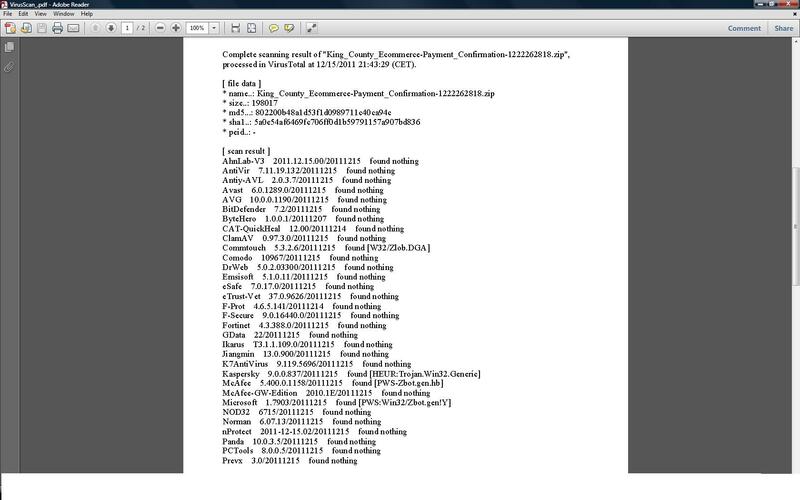 Except for the fact that none of the reference numbers match up, from the payment confirmation to the reference number to the number on the attachment, none match. Notice also that the attachment is zipped. This is a common method of hiding a virus to get it past the filters. Well, I didn’t open it. It forwarded it on to scan@virustotal.com and in less than 5 minutes, I received the following report. Note that virustotal scanned the file against 40 some antivirus engines and most came back with no virus found…but 4 of them did find something. That was good enough for me. I deleted the email. I hope this helps clarify those emails you’ve been getting. Oh, and by-the-way, if you get an email similar to the ones above from a friend, have them change their email program’s password as it’s possible that their email program has been hijacked.